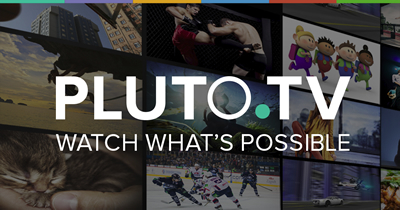 Pluto TV, A Step Forward By Going Back! Gonna go by memory on a conversation I have had a few times with my wife when she says she doesn’t understand how I can watch YouTube so much. Now I have gone through this with here a few times, and similar conversations with friends. I still maintain that I love the freedom YouTube allows. But sometimes it’s TOO big. What Pluto offers is channels that have been set up by scouring YouTube, Veemo and other video hosting sites online and placed similar vids on appropriate channels. This can simplify things if you feel like say watching music videos on certain genres (Because somehow MTV no longer shows music videos) sports vids, or more specific things like Minecraft videos for gamers. Now wait.. now I’m back to a schedule someone else sets up if I want to watch something on a particular topic. True, but honestly, the people behind Pluto literally have experts on certain topics put theses channel playlists together. They find things about topics you may already try to scour to find videos for and are unable to. Face it, there are times I am watching a Halo video on say Forge, and at the end YouTube in its infinite wisdom shows on ‘suggested video’ section when my vid is over something REALLY off base like “How to remove unwanted body hair.” Though I do appreciate manscaping on myself, I don’t see a correlation. So Pluto can bring to light corners of a community you like that you haven’t found in the depths of the internet. As put before, sometimes the internet is TOO big. There are some ads that flash on screen, but unobtrusive like YouTube currently has. So now in real time you and your buddies can watch a show at the same time and interact with the private chat feature, personally appeals to me. There are a varying range of topics, however if there is a topic not covered maybe let them know and a channel can be set up for you and your buds. On the gaming angle consider how Twitch has blown up with the X Box One’s integration. Pluto is hitting on something that is more than trending right now but seems to be a serious emerging new real integration of the internet as true entertainment base, that can take a big bite from the TV we have known for so long. I mean if you miss an episode of your favorite sitcom now, you can go to the networks website and often watch it after the fact, so it’s happening now. The TV networks use the web for what was considered not apples to apples as far as home entertainment, the gap is bridged, and dare I say, forming into one. Looks like the Xbone 2013 spring uproar when it was pushed more as entertainment system than games was something so many of us shouldn’t have flipped out on (Including me) I see things like Pluto benefiting from this and I am enjoying it early into the game. Now will this stick? I think so but who knows it what form it will evolve, but right now its new and hot and I think people should look into it and help it grow. Fairly short and simple blog gang… Pluto.tv…. check it out!